As many of you know I am a student of Chef AJ’s Ultimate Weight Loss on line program! I have taken her and Jay Pea’s Mastery Class and have been a mentor for subsequent classes. It’s a whole food plant based lifestyle that is centered around the calorie density chart and the way of eating that is taught at True North Health Center in Santa Rosa, California. The second annual UWL Live conference is being held Labor Day Weekend 2018 in Vegas! Tom and I attended last years event and we were thoroughly impressed. Everything was top notch. The speakers were amazing, the hotel was fantastic, the food was fabulous, the people were incredible and the vendors were awesome. It was worth ever penny we spent on it and then some. We made new friends, finally met our on line friends in person and we learned so much new information. Knowledge is power and that is certaintly true when it comes to our health. When you get right down to it we have tremendous control over our own health. In order to make sure we are making the right choices we need to be informed by people we can trust. Chef AJ and her team have assembled an incredible group of highly respected speakers for this years UWL Live Vegas conference. Keynote speaker Dr. Neal Barnard from Physcians Committe For Responsible Medicine. I love his calm and easy approach to this lifestyle. We have had the opportunity to see him speak in person and trust me you won’t be dissapointed in his presentation. Dr. Rosane Oliveira Director of Integrative Medicine UC Davis. We have seen her live several times since she is local and we love her. Dr. Doug Lisle – author of The Pleasure Trap and his co author Dr. Alan Goldhamer the co- founder of True North Health Center. These two come to the Sacramento are frequently and we always enjoy them. Together they are like a comedy act – not to be missed. 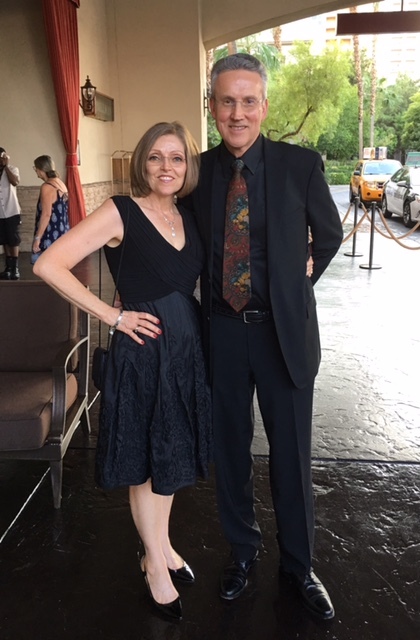 John Pierre author of The Pillars of Health, as well as a fitness expert and health coach to many of us regular folks as well as many famous athletes and movie stars. He is adorable and so full of compassion and love for the animals, people and the earth. He will inspire you to be your best. Of course Chef AJ will be speaking and making everyone laugh all day long! She really understands the struggle to lose weight and keep it off – she is real and she tells it like it is! She is also incredibly funny so be ready to laugh. It’s going to be an event to behold. You can still buy a ticket if you want to attend the live event September 1 -2, 2018! UWL LIVE VEGAS. We thought we were going to be attending the UWL Live Vegas event this year and we bought our tickets in January and booked our room. At the time we had no way of knowing that our plans would change. You see our daughter found out she was pregnant earlier this year. We were all so happy about a new baby. Then when she became quite ill around 6 weeks that is when we found out it was because she was carrying twins! It is pretty exciting for all of us and yes, twins run in our family. Since she was 6 weeks pregnent we have been helping to care for her, her husband and their toddler. It has been a difficult prenancy to say the least. We are essentially running two households! We cook, clean, buy groceries, do laundry for everyone as well as take care of our adorable granddaughter. Life is very busy! You may have noticed that my blog posts and You Tube Videos have slowed way down – there just isn’t any extra time for such things on a regular basis. It has been a wild rollercoaster ride but I am happy to say that she has made it to 29 weeks already! The twins (a boy and a girl) are due this fall and twins typically come early so there is no way we can go out of town and risk missing this life changing event! Plus the fact that they need us right now and once the babies arrive it will be all hands on deck! Watch the UWL Vegas Live Webinar! The second best thing to being in Vegas for the live event is to watch the UWL Vegas Live Webinar! Our plan is to watch the live webinar feed as long as we aren’t busy with babies. No worries if that doesn’t work because we will also have the replay available to watch as many times as we desire until March 2019. There will be two full days of speakers! Now through Wednesday August 8th the cost of the Live Feed Webinar and the replay are discounted at $97! As of August 9th the cost will go up to $197. Gustavo who puts the webinars together recently purchased new equipment so the live feed and replay should be awesome. You can puchase the UWL Vegas Live Webinar on line now. Last year after we got back home from Vegas we got together with a group of our friends for a pot luck and watched some of the speakers on the webinar replay from Vegas. Some of us had attended the event live and some weren’t able to go. It was fun to listen to the speakers again and catch little tidbits that we had missed the first time around. Why not host a pot luck, invite your friends over and share this amazing event! 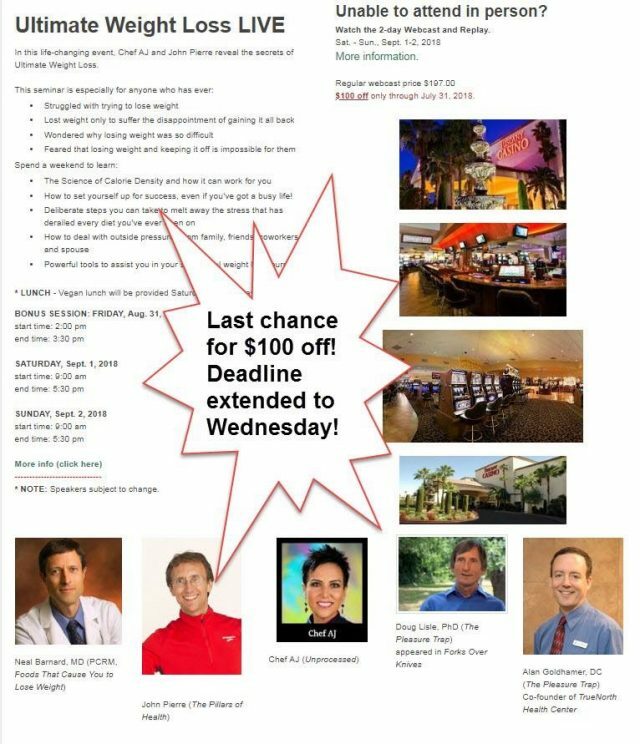 UWL LIVE VEGAS WEBINAR GIVE-A-WAY! One lucky person is going to get the UWL Live Vegas Webinar for free from Chef AJ and Gustavo! I know – isn’t that amazing! How To Enter The Give-A-Way – This promotion is over! Beth Fellows won the give-a-way! Congratulations Beth! You have multiple chances to enter. Do one or more of the following and leave a seperate comment for each thing you do or answer here on the blog post. Each comment here on the blog post gets you another entry in the giveaway! I will be using Random.org to determine the winner. All comments need to be here on the blog post. The giveaway will close at midnight Pacific Time on August 7th, 2018 so if you don’t win you will still have time to purchase the webinar at $97. 1. Which Nutmeg Notebook You Tube Video has been the most helpful to you? Leave me a comment here on this post. 2. What Nutmeg Notebook recipe do you make the most or would you like to try? Leave me a comment here on this post. 3. Subscribe to my Nutmeg Notebook You Tube Channel and let me know in a comment here on the blog post. 4. Follow me on my Nutmeg Notebook Instagram account and let me know in a comment here on the blog post. 5. Like my Nutmeg Notebook Facebook page and let me know in a comment here on the blog post. If you already follow let me know here on the blog post. 6. Post a link to this blog post on facebook – your personal page or a group page that you belong to. Come back and tell me where you posted it by leaving a comment here on the blog post. Full Disclosure : Chef AJ and Gustavo are giving me free access to the webinar (I had already purchased it so actually they are issuing a refund) and I agreed to tell you all about the Webinar and host a giveaway for them. As always I only recommend products, recipes, webinars and websites that I actually use and believe in. I turn down a great deal of offers that come my way because I don’t believe in the products. Be sure to check out my Amazon Affiliate Recommendation Page where I share my favorite things! When you purchase items from my affiliate links you help support this blog and my work without any extra cost to you. Thank you for your suppport. Have you watched my Big Beautiful Chopped Salad Video Yet? 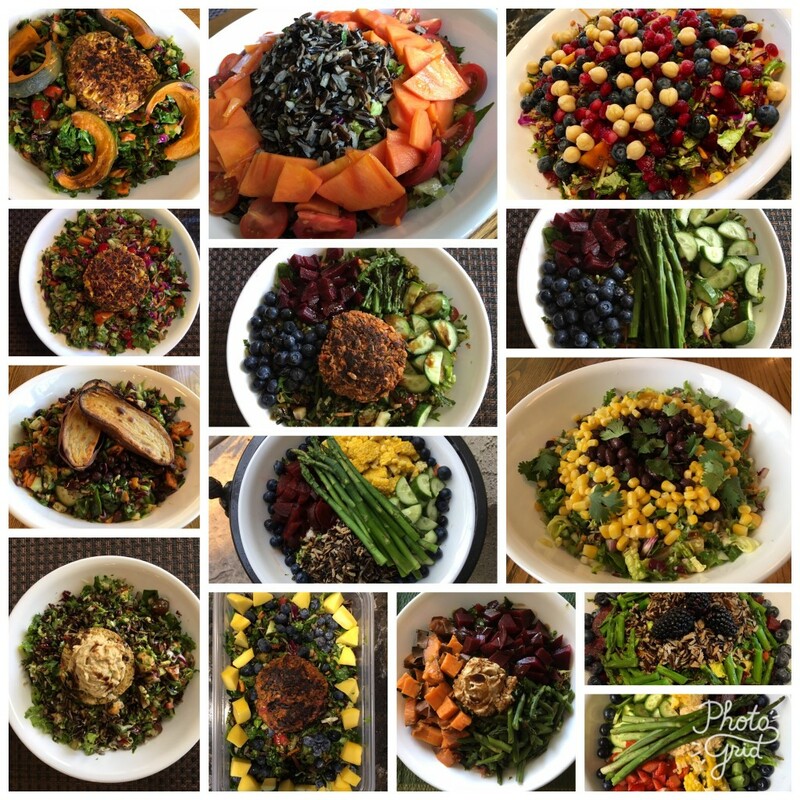 Join the hundreds of fans of BBS – big beautiful chopped salads – we are changing our life one BBS at a time! See what its’ all about and join us in this healthy addiction! Click on the link below to sign up for a Nutmeg Notebook Cooking Class Account and purchase the cooking class for $9.95. Previous Post: « Make A Great Tasting Ketchup & BBQ Sauce – No Added Sugar! Hi Tami! My favorite video is the most recent on how you make your Big beautiful salads! My favorite is the salad prep for the week too!!! thanks these are awesome!! I am going to try your Darn Good Vegan Sausages very soon! I am a long-time Nutmeg znotebook YouTube subscriber! I’m a long-time follower of Nutmeg Notebook on Facebook! Love your blog! I shared this post on both of my Facebook pages. Congratulations on the new additions to your family! Twins will be so much fun! Big beautiful salad is great! I love your video on batch cooking using the Breville. I also love your video on chopped salad. I am subscribed to your YouTuve channel, follow you on Instagram and Facebook. I am posting your link on my personal Facebook page. Fingers crossed that I win! Shared this post to my fb page. I love your batch cooking video using the Breville. I love the chopped salad YouTube video. I liked you on FaceBooik. My favorite videos…I guess the Big Beautiful Chopped Salad updated and the Breville Smart Oven veggies. Instagram follower too! Can’t wait to try the sloppy joes! Recipe to try…sloppy joes, ketchup, bbq, creamy balsamic! Favorite video: How to use the Breville Smart Air Oven, followed by chopped salad. Just followed you on Instagram – just discovered Instagram yesterday. Recipe I make the most? Chopped Salad. I’m a huge fan of chopped Salad. Had the Holland bowl about 3 years ago, Love it. I already subscribe to your youtube channel. Thanks for all you do. Posted Link on my personal page, went to Butterfly Effect, you have already posted it there, so, that’s all good. Going to post it to Wacky Jackie step challenge group also. Big Beautiful Salad for sure! Batch cooking, favorites from Trader Joe’s are my top so far! I liked watching your batch cooking video the best. A close second was the one where you make your daily lunch salad. 2. What Nutmeg Notebook recipe do you make the most or would you like to try? I make the daily lunch salad, well, almost every day, and it looks very much like yours! Following on Instagram and Facebook! I love the daily exposure! You make it look so easy! My favorite YouTube video is the batch prepping salads. The recipe I would most like to try is the creamy balsamic dressing. My favourite video is the batch cooking with the Breville Oven Air. After viewing that video I purchased the Breville Oven and I loved everything it. My favourite recipe is the air fried spring rolls. Oh my goodness…so delicious. I am already subscribed to your YouTube channel? I already follow and like your Facebook and blog.? I already follow you on Facebook ? I cannot wait to try your Darn Good Vegan Sausages because they look so good! I posted the link on my personal page! I have subscribed to your UTube channel. I loved the chopped salad video! The recipe is like to try is the cherry muffins you made with Heather. I love al your YouTube videos so it’s hard to choose but I think I’d select your smart oven air fryer demo video as my favourite but I also love your big beautiful salad video and of course my new bowl. Congratulations on the upcoming twins!!! My favourite recipe of yours that I make all the time is… your creamy balsamic salad dressing! I just followed you on Instagram, sorry I got confused my Instagram Handel is actually Green Phenoix !!! I just shared this post on my Facebook page… Teresa Stuart! The most helpful video was the one for steamed vegetables. I eat these almost every day for breakfast. Tami I just started following you on Instagram! Hey Tami! I have been following you on YouTube. I enjoy all of your videoss! I’ve been following you for a very long time on Facebook. My favorite video is your salad prep video. My favorite recipe is crock pot black beans. I make that every couple of weeks. It is so delicious and easy! Big beautiful chopped salads is my favorite video, I eat one every day for lunch, a game changer! I like your Vegan Sausage video and the Big Beautiful Salad video. I also subscribe to your youtube channel. Thanks for the opportunity. I subscribed to your YouTube account! I’m a follower on Instagram ? I follow you on instagram, you tube, and facebook. Your toutube vide inspired me to purchase my own HM bowl! 1. The most useful video is on batch food prep. 3. I want to make the vegan sausage recipe. 3. I subscribed to Nutmeg Notebook on YouTube. 5. Liked and following on FN. Hi, I am excited to try your recipes! I am revisiting eating WFPB due to health concerns and need to connect with other lime minded people. I am following you now on FB. I have now subscribwd to your YouTube channel. I love the videos! Feeling so excited to find your resources! Thank you! My favorite You Tube video is the big beautiful salad one as well as the one you batch prep the salad and show how you store it in the refrigerator. I want to make the whole oat groats you demonstrated on You Tube. I also want to make the chopped salad too. I bought a bottle of the Grand Reserve Balasmic to try as you suggested. Now I want to get a wooden chopped salad bowl like yours. I love salads! I started following you on You Tube last month. Enjoy all your posts and videos. I just started following you on Facebook. I look forward to your new posts. I shared the link to this blog post to my personal FB page. I don’t know how to copy it for you here. My FB page is private with my friends so you won’t be able to see it. I tried and hope it still counts. I have liked your Facebook page, and am following you there. I love your Youtube video on Darn Good Vegan Sausages…will be trying them soon! My favorite recipe of yours is the Creamy Balsamic Dressing! I love your videos! the Big Salad is my fav. Today I watched the balsamic dressing and am going to try it. thanks so much!! Your big chopped salad video has been the most helpful for my husband and I. We have one in the fridge right now. My question is that since it is to last for a while, we used all drier ingredients. Now it feels dry even when we add tomatoes and fruit begore each meal…what am i doing wrong? Thanks so much for your sote! It is life changing! I’ve loved all your videos, but my fav is the big beautiful salad! The vegan sausages and the vegan enchilada are both on the list of dishes I’m anxious to try! My favorite recipe is the Big Salad. My all time favorite recipe is the air fried spring rolls. They are so delicious! I follow you on Facebook. You are AWESOME!! I just signed up for Instagram and SO happy to see your posts!!! Thanks for all you do!! I have been subscribed to your YouTube…. Love your videos!! They are SO HELPFUL!! Batch Prepping Chopped Salad and using the Holland Bowl is my MOST FAVORITE video!! I am hoping to get a bowl for my anniversary this year!!! Oh Tami!! I am so happy for you and your husband (and daughter and family!!) I just re-read and realized i missed your “Twice as Nice” paragraph!! SO EXCITING!!! I will look forward to meeting you another time since you will not be able to attend this year’s VEGAS LIVE!! I have been traveling a ton this year and have missed not seeing so many videos from you….but after reading above TOTALLY understand why. What a HUGE help you all have been to your daughter!! Take care and ENJOY your family!!! THE VERY BEST TO ALL OF YOU!!!! I love the garlic mashed potatoes!!! YUM!! I just found you, yippee!!! I liked and followed your FB page. Thanks so much for chance to win an amazing opportunity! I also subscribed to your YouTube channel!! The most helpful video was the spring roll wraps. I was making them and wanted to make sure I was folding them right. I want to try the darn good sausages.i checked and I’m happy to say I’m subscribed to all your pages and YouTube too. Wish I could kiss you in Vegas but there is always next year. I subscribed to your YouTube channel. Thanks for the chance to win. I am now following you on Facebook. Thank you. Your salad video wowed me. I was new to plant based, no oil. I had no idea you could batch prepare salads with them going bad. And your salads taste dramatically better than the standard American salad. I just subscribed to your Nutmeg Notebook You Tube Channel. I have learned so much from your videos. Thank you! I just liked your Facebook page. Great page! Great giveaway, Tami! Will certainly miss you at Vegas, but we’ll keep in touch 🙂 I’ve made your Creamy Balsamic Dressing dozens and dozens of times – just love it! 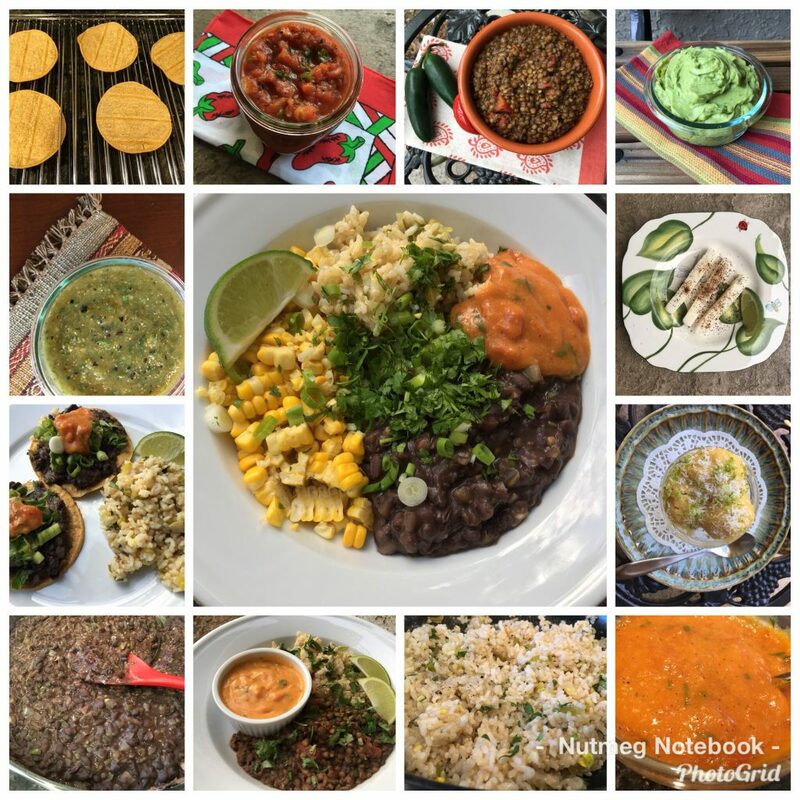 I also use your slow cooker black bean recipe, directions for IP oat groats, and refried beans recipe from your Mexican webinar – so good! I love your batch cooking videos – you just make it look easy. Thanks for all you do! I subscribed to your youtube channel. Great info. I loved your big beautiful salad videos. Its kind of a toss up between those and the batching one. When I was pregnant for twins, I started showing almost immediately. Morning sickness for me also was severe. I was in the hospital for a week because i couldnt even keep water down. I also developed a bad rash in last couple of months caused by pregnancy. All went well tho and they were 8’6″ and 8’3″ , and are now 28 yo. Good luck and enjoy the fun. I’ve been subscribed to your YouTube for a while now, and have followed your blog for years now, back to the PPK days. My favorite YouTube has been the sausage one, where you use oats instead of beans because of Chef AJ’s allergy. The batch cooking one is great, too. I started following your IG a couple of days ago! And I just put a link to this post on my FB page! I’ve been subscribed to your youTube for awhile now! I enjoy all your posts! My favorite video is the chopped salad video because I am going back to work and needed some inspiration to get more variety and nutrients in my salads. The most useful was batch prep cooking. Most frequently used is oat groats in the IP. I was already subscribed to your YouTube channel. I liked yourNutmeg Notebook page. I posted a link to Plant Based Chico group on Facebook. OK, I just subscribed to your UTube page! I can’t wait until I can afford to subscribe to the online Ultimate WeightLoss program! LOL I should have done everything and them posted! I just found your Facebook page I hope there are some good recipes there!